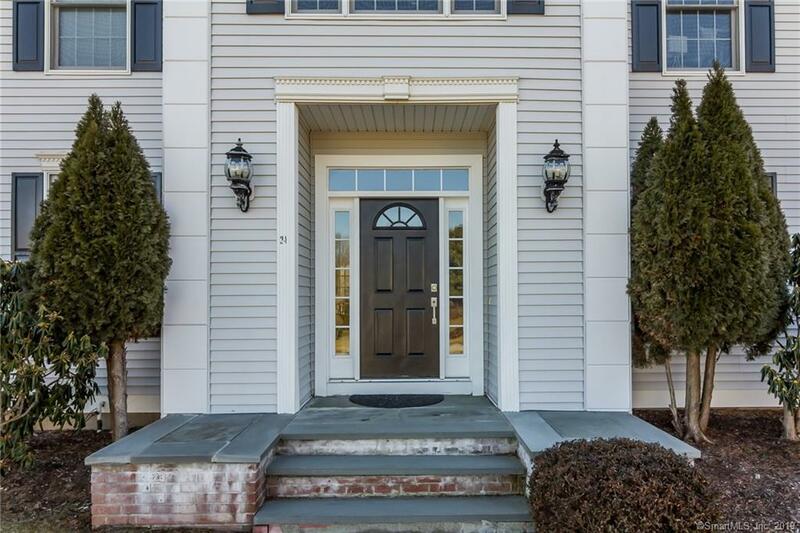 Quality and craftsmanship abound in this stately Colonial, remodeled and updated in 2016, located on a large level lot in a quiet cul-de-sac setting only minutes from the village of Madison, shopping and highways. This comfortable and elegant 4 bedroom home features only the finest, starting with the kitchen, the heart of the home. Features include a high tech Samsung refrigerator, 48 inch Wolf gas cooking range, Bosch dishwasher and dual-zone wine cooler, along with quartz counters, a large island and walk-in pantry. Adjacent to the kitchen are a family room with wood burning fireplace as well as formal dining room and living room, providing ideal flow for entertaining large groups. Step upstairs to the bedroom level, with 3 guest/family bedrooms and a spacious master suite with oversized walk-in closet and stunning master bath featuring Carrera marble, soaking tub, and luxurious glass enclosed shower with rainfall shower head and three articulating body sprays. An expansive, partially finished basement with walkout adds 1400 square feet of flexible space to the homes living area. Listing provided courtesy of David Mayhew of Pearce Real Estate.